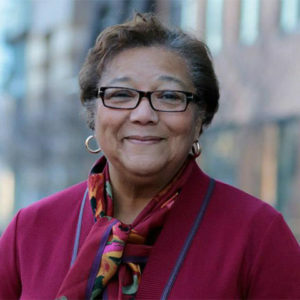 Since December 2012, Anita Bonds has served as an At-Large Member of the Council of the District of Columbia and she is the current Chairperson of the Committee on Housing and Community Development. The Committee has oversight over the DC Department of Housing and Community Development, the District of Columbia Housing Authority, Housing Finance Agency, Housing Production Trust Fund, and the Rental Housing Commission. Anita has worked on numerous national campaigns to elect Democrats at the national, state and municipal levels. Including; Sen. Carol Mosley Braun, Sen. Edward Kennedy, and Sen. Paul Sarbanes, and served as National Field Director for the Jesse Jackson for President Campaign. Anita is the current Chairman of the DC Democratic Party and serves on the Executive Board of the Democratic National Committee. Anita is a former Chairperson of the Ward 5 Democrats.